The FIFA World Cup Trophy Tour created quite a buzz in the country as Belizeans travelled from all over the country to get to spend a few seconds with the World Cup that arrived from El Salvador. The most coveted sports trophy was in Belize on Thursday November 7th, as a final leg of the tour of the Western Hemisphere before leaving to Egypt tomorrow. 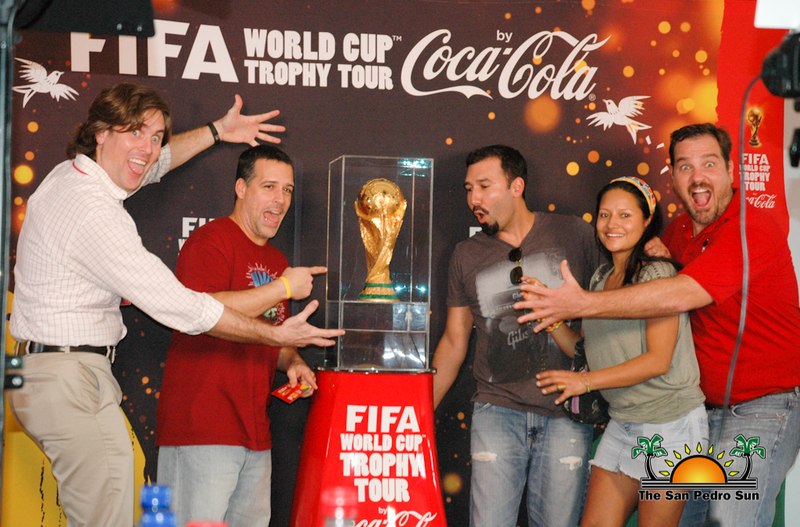 Hundreds of Belizeans took tours to take pictures, admire and come in close proximity with the FIFA World Cup Trophy. In an interview with the San Pedro Sun, FIFA Representative of the World Cup Tour Pikka Odriozola, said that idea of the tour came in 2002 with the idea to bring the FIFA World Cup closer to as much fans worldwide as possible. “Football is the most globally played sport and we wanted to share the passion and the spirit of the World Cup directly with the fans. They don’t get to travel all around where there is World Cup but we are bringing the experience to their home country. The World Cup is returning to Brazil. The last time it went to Brazil was in 1950 and the last time in South America was in 1978 in Argentina and so we wanted to include all of Latin America and also the entire Americas and the Caribbean. We are stopping in all the countries in the Concacaf region which is the football confederation to which Belize is a part of. It doesn’t matter if a country is a world champion of if a country qualifies for the World Cup - the main idea is to share this experience to all the fans,” said Odriozola, a Spanish national working with FIFA for over 10 years. Two athletes that were happy to be a part of the experience and found the tour as a source of inspiration was Ian Gaynair and Deon McCauley. 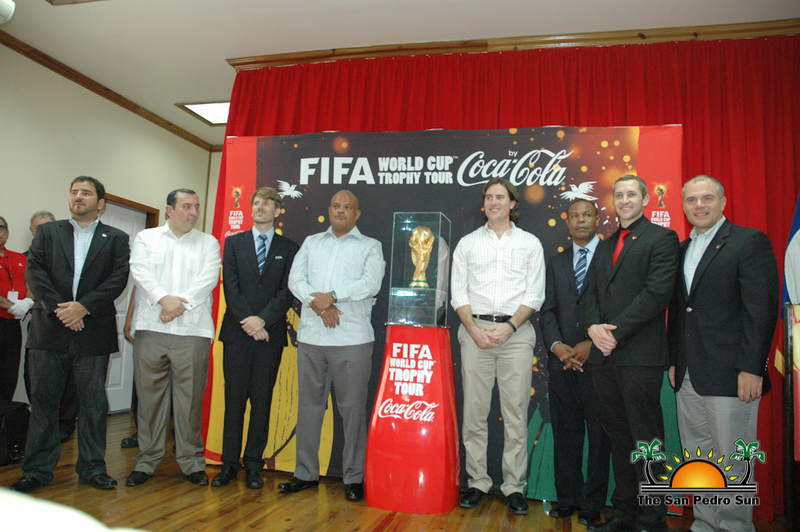 “We feel honored because it’s the first time the trophy is actually in Belize. It is something very motivational to me as a football player to actually get to see something we actually dream of someday winning,” said the McCauley, the Forward player for the Belize National Football team who scored the first goal in the World Cup Qualifier worldwide and who held on as one of the top World Cup Qualifier striker has scored 13 goals for Belize. 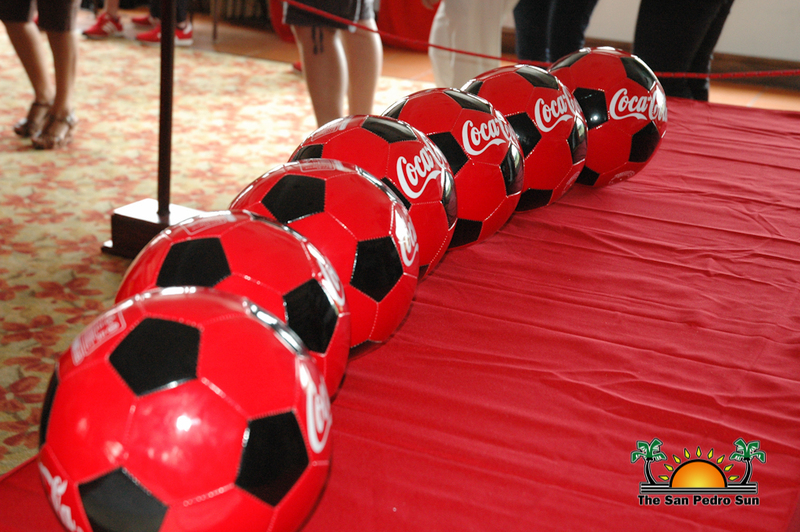 A reception was held at The Radisson Hotel where Belize’s Head of State, Governor General Sir Colville Young was the only Belizean who got the chance to touch the World Cup while on Belizean soil. The trophy has left to Egypt and is to return to the Brazil just ahead of the 2014 World Cup.